Are you aware that millions of gullible consumers are taken for ride by the leading soap manufacturers? A recent survey conducted by the VOICE revealed that the most brands are underweight and their fatty content is lower than claimed. Have you ever noticed words like “toilet soap” or “bathing bar” on your soap’s wrapper? This led me to do a little research on soap and put forward my findings here. Sadly, we don’t find time to know about simple things such as soap that comes in contact with our body every day. Hence, I’ve gone ahead and revealed soap story. We seldom use the words “toilet soap” and “beauty soap” interchangeably. In reality, there is a considerable difference between them. The first one is used to cleanse the body and the latter is to beautify the skin. Similarly, there is a distinction between toilet soap and bathing bar. Toilet soap contains more fatty material on the other hand bathing bars contain surface active agents with low TFM (total Fatty Matter). Today, 85 percent of soaps available in the consumer market are bathing bars. 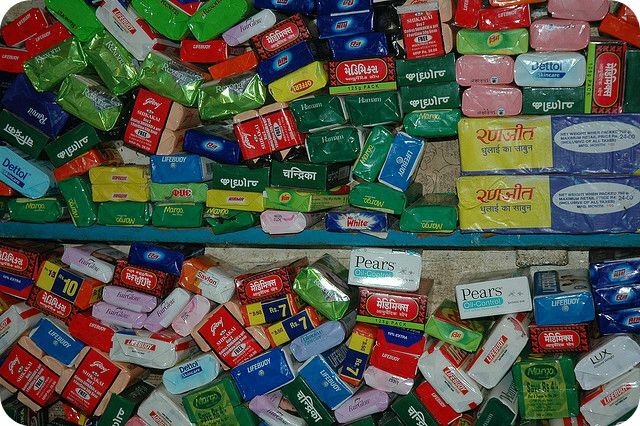 If you have observed the premium brands like Dove and Pears, be surprised to find that they are bathing bars. The bathing bars are nothing but entry level soaps while toilet soaps are categorised into 3 grades based on their TFM values. The higher TFM present in soap contributes better cleansing action. An ideal fat to bases ratio of 5:1 makes a TFM of 83.3%. However, it is disappointing to note that you will not find such ideal toilet soap in the market. What is Grade I Soap? As per Bureau of Indian Standards (BIS), the Grade I soap has TFM above 80%, Grade II with TFM 65-80% and Grade III with TFM 55-65%. Usually, bathing bars do have a TFM value less than 55%. Therefore, it is always recommended to pick a toilet soap that falls under Grade I category that has high cleansing efficiency. It is mandatory for toilet soap marketing companies to display TFM value on soap wrapper. Always make sure to check the cover for TFM value and get high TFM soap for a pleasant bath. Don’t let MNC’s take you for granted. Remember Grade III means a lot of filler. It may be asbestos or any other harmful surfactant. Be wise and make a judicious choice for yourself with TFM value not less than 75%. Sadly, the popular soap brands like Lux and Dettol have 70% and 71% respectively. Similarly, the popular ayurvedic tagged brands like Chandrika and Medimix have a low TFM of 65% and 62%. To sum it up, I’ve collected TFM value of various soap brands found in local general stores and retail outlets. Don’t worry too much if you make a mistake. You can rectify it from now-on-wards. Just check for TFM value on the soap wrapper and pick the higher grade TFM toilet soap for the best cleansing action and bathing experience.